This is the new Mercedes GLA, although you might not be able to tell. As is the trend in Stuttgart these days, the revisions made to the GLA to keep it fresh are pretty subtle – there’s a new pair of bumpers and some LED headlights. That’s really about it, but there was never a great deal wrong with the car in the first place, as long as your expectations were well managed. That’s because the GLA might look like a tough SUV, ready to kick sand into the face of any ordinary hatchback, but it’s actually, well, an ordinary hatchback. Yes, it’s been jacked up on its suspension a little (and the 2017 cars ride 30mm higher than the old model) but it’s really a Mercedes A-Class with some muscular cladding on the bodywork. 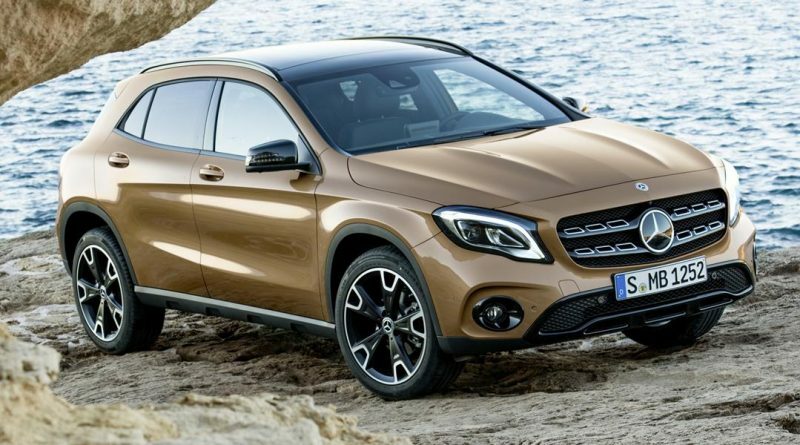 There’s a nod to some off-road ability, with the inclusion of hill descent control – this electronically keeps the car under a set speed when descending steep inclines – and there’s a four-wheel drive 4Matic option, but the GLA is best suited to the tarmac. On the straight and narrow it’s arguably a little firm, but UK buyers generally like the sporty feeling that provides. The longer suspension means it tends to remain a little fiddly over the small bumps and cracks in road surfaces, but it absorbs longer undulations without any issue. Switch the adaptive suspension to Sport mode and the GLA becomes quite engaging on more interesting roads, with body roll kept well in check and plenty of grip being offered from wide wheels. Before it succumbs to the laws of physics, electronic wizardry starts controlling power and braking to each individual wheel, helping ensure the GLA remains on the right side of the scenery. The 200d is powered by Mercedes’ old 2.1-litre diesel engine that’s a tad rattly compared to the latest generation engines, but that settles down to a distant hum once up to speed. 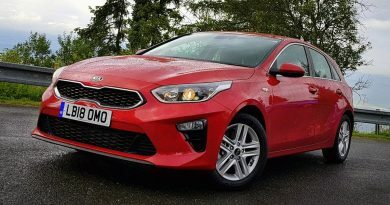 The company’s engineers have managed to squeeze plenty of useable power from the unit (there’s 134bhp that’s enough for a nine second sprint to 62mph) while also reducing its fuel use significantly; officially, 65.5mpg is possible, but this writer has seen results far better than that on a gentle motorway run. On the inside of the car lies a couple more updates. It’s much as it used to be, which means a solid and upmarket dashboard that adds a sense of occasion missing from its German rivals, but now with added bling and redesigned instruments. There’s an iPad-like infotainment screen stuck high up on the centre stack, bringing sat-nav instructions or other information right up to the driver’s eyeline, but it’s not a touchscreen – this confuses initially, but the excellent control system that your left hand falls naturally to is intuitive and quick. There’s also plenty of physical buttons on the dashboard for the more important functions, which makes life far easier. The styling masks the size somewhat, with the GLA being a smaller car than it appears. That means that there’s not a huge amount of space in the rear seats, with headroom being particularly tight so families with teenagers might need to look elsewhere, but things are better up front. Plenty of storage areas are dotted around the cabin though, and a decent 481-litre boot is competitively sized. There’s a lot to like about the GLA, and its shortcomings could be lived with by most in return for the raised ride height and premium style. 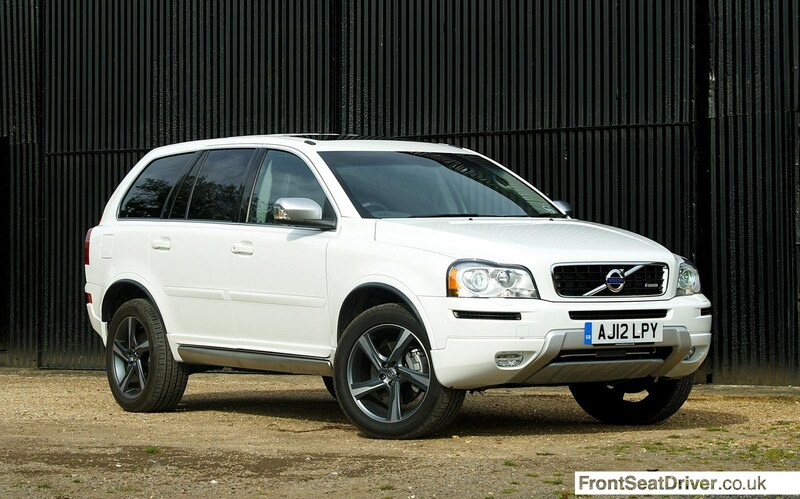 It’s frugal yet quick enough, capable on road, well equipped and distinctive. There’s also enough space for most people and, while the list price might be a tad high, the strong residual values mean finance deals and PCP payments should be competitive. The GLA has been a popular model in the UK, and the changes made for 2017 should ensure that continues.